Capture the light with your makeup using the PUPA Luminys Touch Face Illuminator; a two in one highlighter and concealer that adds instant brightness to the complexion. Utilising a P-LB Complex, the liquid formula combines makeup with skincare; not only concealing blemishes and dark circles, but working to eliminate their appearance completely. The illuminator is infused with soft focus powders that radiate the face and reflect light. Expect a flawless complexion that boasts a luxurious glow. To conceal dark circles and illuminate shaded areas of the face: Apply underneath the eyes and on their outer and inner corners. Apply on the sides of the nose, on mouth corners and just above the chin. 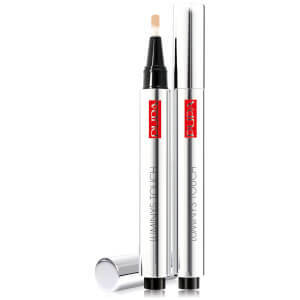 To illuminate the eyes and to increase eyeshadow hold: Apply on eyelids and below eyebrows. To highlight the luminous areas of the face: Apply on upper cheekbone, or also at the centre of forehead, on the nose ridge and on the tip of your chin. To enhance lips: Apply along outer lips contour. To add brand new brightness to your make-up: Use LUMINYS TOUCH any time of the day to refresh your make-up. 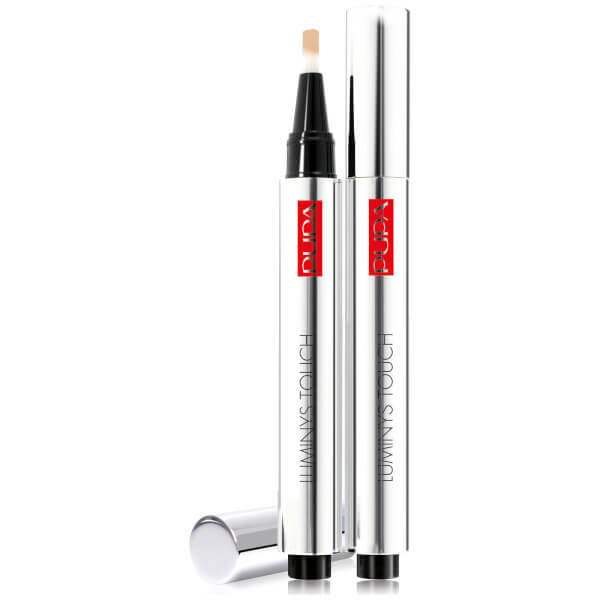 The special small brush allows you to touch up smudges of eye and lip make-up with great precision.